Were someone to ask me to provide a comprehensive definition of Englishness capable of unravelling its quintessence and singularity for any Johnny foreigner that cared to know, Blackadder would certainly feature as one of its exemplars. A long history of wry, iconoclastic humour, self-deprecation and an innate irreverence for authority – religious and temporal – has provided the ingredients for a rich, sophisticated, comedic oeuvre. One peculiar to these isles but admired (if not fully understood) across the world. Sticking with Blackadder, two of my favourites sketches of series two centre on religion. I’m sure you recall the episode featuring Lord and Lady Whiteadder, the puritanical relatives of the protagonist and zealots with a penchant for immolating Catholics. And I suppose I don’t need to jog your memory about the episode focussing on the sanctimony of the Bishop of Bath & Wells. Both were hilarious and made an entirely valid point without criticising religious practise; for the target was not Christian tradition or dogma but rather the hypocrisy of some of its adherents – especially those vested with authority. The niqab, by contrast is a religious requirement for many Muslim women – Shaykh Boris’ fatwa notwithstanding. To mock and insult someone for performing one of their religious duties without detriment to or interference with, anybody else’s fundamental rights is very different to satirising religious sanctimony, a nuance that’s surely not lost on a man of your intellectual calibre. “Nonetheless,” I hear you retort, “it’s my right in a liberal society to lampoon what I find ridiculous.” Yes, it is – and I will return to this point shortly. Context, Rowan, is everything. Lampooning 16th century puritanical zealotry or ecclesiastical corruption, in the 1980s carried no risk of inflaming majoritarian sentiment against any segment of society. There was no overarching context of anti-puritanical/ecclesiastical bigotry and violence. Sadly, in the 2010s abuse of and violence towards visibly Muslim women (i.e. those who don the headscarf or face veil) is a very serious problem. There is a tendency by some to dismiss such a phenomena, to refer to it contemptuously as “whining” and “victimhood seeking”. Such talk brings back painful memories of my personal experiences of racism growing up as a child of South Asian immigrants in an overwhelmingly White town in the Home Counties. Unless you have experienced the humiliation of being insulted, mocked and demeaned (sometimes physically assaulted) by complete strangers to whom you have done no harm and with a certain degree of regularity, I’m afraid you just won’t get it, Rowan. Trust me on that one. Furthermore, Boris is not a comedian (at least not by profession though by vocation quite possibly) but a senior politician in the current party of governance. It behoves someone who spent eight years as mayor of a city as diverse as modern-day London (with a Muslim population of around one million) and who until very recently was the Foreign Secretary, to be more judicious in his phraseology and to consider carefully the possible ramifications of his words. For someone of his standing to use such demeaning language can only empower and enable those elements in our society for whom disagreement is expressed not through the idiom of polite, reasoned discourse or satirical artistic productions but rather through vulgar acts of verbal and physical intimidation (most often against vulnerable individuals). 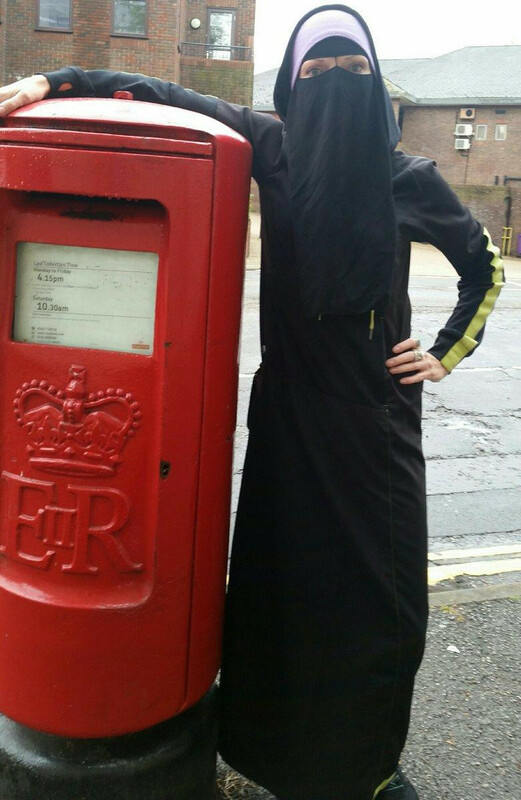 While it may be the case in Hampstead or Chelsea that such interventions merely elicit an affected “You know I’ve never been too keen on those burqa thinga-me-jiggies either, good on Boris! Oh, would you pour me some more Chardonnay…” at Saturday night dinner parties, this is not reflective of the wider reality. Not everyone had the luxury of attending Oxbridge, Rowan and not everyone is cerebral (or well intentioned) enough to be able to castigate an idea without causing alarm and fear to its votaries. In fact, I would posit that vast swathes of the British populace struggle with such nuance even if it might be obvious to you and those of your social milieu. I understand, unlike some, that you are a fierce proponent of free speech in general and you have expressed similar sentiments apropos discourse critical of homosexuality. For your consistency I commend you. However, once again please be mindful of the context; give due consideration to the fact that we are witnessing a period of extreme political ferment in the West catalysed by a virulent strain of populism pandering to the same base prejudices and irrational fears such as were en vogue in 1930s Germany. The alacrity with which even the most outlandish conspiracy theories about Muslims are embraced by millions should give sensible people pause for thought. That such demagoguery now often emanates from those in the highest echelons of power rather than fringe nationalist cranks should give even more pause for thought. It’s fine to pontificate (if you’ll pardon the pun) about the virtues of free speech in countering hateful speech, and in theory were all speech given a level playing field there might well be merit to such an argument. The reality, however, is that some speech has the benefit of huge amplification and is received by a constituency predisposed to hatefulness and in search of a scapegoat. It is also fanciful to believe that the gatekeepers of access to the mass media are impartial, free from political influences or feel any compulsion to permit equal access to all sides of the argument. The demonstrable deceitfulness of The Times – the paper to which you wrote to express your support of Boris’ vituperations – when it comes to reporting upon anything relating to Islam and Muslims is a case in hand. Contra popular perception Muslims have never been afraid to debate their faith or to entertain criticism of it. True, we have certain red lines and when it comes to mockery of our Prophet (peace be upon him) we will have to agree to disagree. In the context of a liberal society I have no problem with someone vocalising their disagreement with the wearing of the niqab or even stating that they find its appearance rebarbative. Though I probably wouldn’t laugh at it, if a comedian poked light fun at niqabs, I don’t think I or any other Muslim, would be all that concerned. What we do humbly entreat is that critiques of Islam are presented in a manner conducive to fostering social cohesion and with due consideration given to the impact they might have on the right of minorities to go about their lawful business free from intimidation and violence. This applies especially to those whose words are likely to influence behaviour on the streets. Returning to that comprehensive definition of Englishness – were I forced to pick out its most endearing characteristic I would unhesitatingly pick upon tolerance; not just any old tolerance, mind, but a peculiarly Anglo-Saxon variety that includes smiling at or politely ignoring that which might make you inwardly grimace. Here, in this green and pleasant land, we might well deem our neighbour quaint, odd or frankly downright bonkers, and that’s completely fine, but so long as their bizarreness harms nobody else (and I’m struggling to see how the wearing of the niqab does) we prefer to confine our disapproval to furtive glances through the curtains and sotto voce tutting. To do otherwise would be most un-English (and much more French like). As Salaamu Alaikum wa rahmatula wa barakatu . Great work you have raised and disected many points raised by both sides of the Niqab debate and gave a balanced conclusion. We all enjoy and appreciate humour but when hatespeech is masked as humour and innocent people are being abused because their hate speech in their eyes has been justified and endorsed by the former foreign Secretary and former London Mayor who is supposedly educated the floodgates have been opened for those who already hold extreme right wing views to continue and amplify their hatespeech and abuse of Muslims with sisters being their main target it is unacceptable and bungling Boris knows better. People think their right to free speech is being attacked when it is actually the content that is being criticised. As a comedian you are free to even bait race.It’s a good job too otherwise life would be very dull. However would the free speech brigade be willing to defend a politician that made a Bernard Manning style gag about Blacks, Pakistanis or the Irish? In politics (and the workplace) free speech can never be unbridled, responsibility and good manners trumps. Would Rowan be willing to defend any politician that made this gag? Excellent work, as always. You hit on something incredibly important. When politicians, and even celebrities, start giving people the green light, it’s completely different from the hate propaganda spread by fringe groups. People believe the opinion leaders in their society, even if what they say is completely implausible. Visiting Bosnia, and reading extensively before and after about what happened there, really drove this point home for me. There’s more at stake than free speech, and you’re absolutely right when you caution about the context. Salaams, friend – this is almost unchartered territory between you & I, but I agree with every word. Johnson, Atkinson and their gaffawing buddies ignore – *choose* to ignore – the very real affect this hate amplification has, upon the *only* group on whom open-season has been declared.